As I continue to work with the Beyond Chocolate approach in my own life, in a way which supports me best, I find that different principles assume importance at different times. Sometimes I pick a principle to experiment with, other times one pops up because of particular issues which I’m facing with my eating or my body image. At the moment the principle I am working with is Stop When You Are Satisfied. This principle has cropped up because I am realising that, for me, there are times when I’m full, but not satisfied. Other times I’m satisfied but not full. Hitting both satisfied and full at the same time is optimum and makes for the best eating experience – but it’s much harder for me to engineer this. Sometimes I finish a meal and I know I’m full because I’ve been monitoring myself for over eight years now and I’m aware of how full feels to me, but I’m not satisfied. I know this too because I know what satisfaction feels like to me – it’s a less familiar sensation than full but I do know how it feels when it happens. On those occasions I can find myself wandering round the house nibbling at anything I can find to eat – searching for that elusive satisfaction and ending up feeling over-full and uncomfortable. Other times I am satisfied with what I’ve eaten, but not full – that’s an interesting one because what do I do then? Do I over-ride satisfaction and eat more to achieve full? Do I stick with the satisfaction, knowing I could physically manage more? It all comes back to Tune In. I have spent quite a lot of time working out how I feel when I’m full and when I’m satisfied and when I’ve magically hit both. So becoming very aware of what my body is telling me has been behind my working with ‘Stop When You Are Satisfied’. 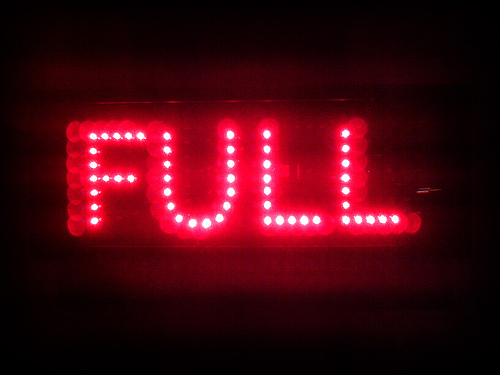 It’s crucial to have a sense of what ‘full up’ feels like, as opposed to ‘stuffed’ or ‘room for a bit more.’ And it’s also helpful to know what satisfied feels like so that I can stop if I choose to at that moment. All of this was very new to me when I first encountered Beyond Chocolate. I had previously either been on a diet or eating for Britain – nothing in between. I was either saintly and starving or eating everything I had been denied on my last diet with no holds barred. I had never questioned whether I was actually hungry before I ate or whether what I ate was satisfying or whether I was full now and whether I wanted to stop eating – I either didn’t eat or I ate. So, where to start with this principle, ‘Stop When You Are Satisfied’? It starts, as so many of them do with Tune In. If we don’t know how we are feeling, we may not catch the moment that feeling changes. If we don’t know what we are thinking, we may not catch a slight shift in thoughts which signal ‘full up’ or ‘satisfied’. If we don’t know how different amounts and types of food sit in our stomach, how long for and how that physically feels, we may find it very difficult to spot the moment during eating when hungry becomes satisfied or full up. Of course, Tune In is not the only principle at play here. Enjoy is a very powerful principle as well and ties in perfectly with Stop When You are Satisfied. If we are not eating food we really enjoy it can feel more like a chore, or maybe we are eating to please someone else, or maybe we are eating something because we believe it’s good for us? Putting Enjoy at the heart of Stop When You are Satisfied can help with spotting the moment when hungry tips over into satisfaction or full. But it’s hard to do this without eating mindfully aka Put It On A Plate, Sit Down and Focus! The Beyond Chocolate principles mesh together like this and ensuring that the one we are working with is supported by the others can really help us to feel we are making progress with our experimentation. So Tuning In after lunch – I am definitely full. I am disinterested in food and I feel a little sad. I can feel a weight in my stomach, which suggests I am slightly over-full. I am thinking that I enjoyed the food but that it’s going to be a long time until I’m hungry again. I have decided not to eat until I am sure I’m hungry again – and how can I tell when that is? Tuning in again! So, if you want to experiment with one of the Beyond Chocolate principles at a time, be aware that although they can exist in isolation from one another, they work really well in small clusters – so which ones would be most beneficial to support the main one you are experimenting with? As for me, I’m waiting for my next eating opportunity to have another go at Stop When You Are Satisfied, backed up with Tune In and Put It On A Plate, Sit Down And Focus.